Stylish dining is available in the cosmopolitan atmosphere of La Scala bistro. The stylish Belfast restaurant provides a fine dining experience in a relaxed environment. Serving up an array of local favourites, each exquisitely prepared and beautifully presented. Perfect for lunch or early evening, this contemporary hastings restaurant will let you relax, unwind and simply enjoy the delicious food! The Stormont Hotel belfast prides itself on only using the finest local fresh produce carefully selected local and seasonal quality foods to enable their chefs to prepare and create the most delicious cuisine which offers diners an array of exquisite tastes and flavours. The stylish surroundings and the warmth of the welcome are the perfect complement to any menu, and our Food & Beverage team will be in attendance to welcome you and to ensure every moment of your meal is a delight. Great evening , beautiful food and lovely atmosphere . Service excellent . 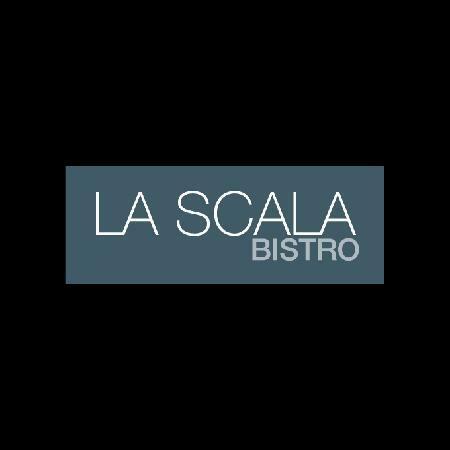 We have been to La Scala Bistro on a number of occasions and have always found the staff to be so helpful and friendly always taking time to chat and make you feel welcome as you enjoy gorgeous food and a lovely atmosphere. The Service and food was excellent! A lovely experience!! The food was delicious and the service was excellent. Staff were very attentive and friendly. Very good value for the standard of food and the Shiraz was fab!! Always a good experience in the bistro. Anthony is the perfect host. We had a lovely evening meal where the staff were so attentive and the food was excellent.We will definitely be back soon. My mother, husband & I had another enjoyable lunch here. I like the fact that the starters are all marked "gf" or "df" which makes a gluten & dairy free diet easy. Thank you to Stephanie for the "gf" & "df" desserts. When eating out I usually have a starter & a main course because there are no desserts available. Yesterday I had the choice of cake, chocolate brownie, 2 sorbets, meringue & jelly with fruit - I was spoilt for choice! We will be back next time we visit Mum. Always a treat to have Sunday buffet at Stormont. Relaxed and welcoming attitude - a great place to fill a Sunday afternoon with friends or family. My husband, mother & I had another lovely meal here yesterday. Thank you to Jay & his team for making it easy to eat out despite my being gluten & dairy intolerant. The gluten & dairy free coconut cake for dessert was especially nice. As always Michael, Jay and the team did a fantastic job with the food and the front of house team had set the event up beautifully. Excellent value for money and your family package for those with children I thought was very generous. See you next year. Staff on the day too quick at lifting plates when we were not finished. If plate was empty I would understand but at times felt like a grab for the plate without even asking. The food was excellent starters mains and desserts all fantastic great choice on the day. The only downside was the person serving the veg gave such ridiculously small portions that given price paid was not what one would expect. I was given two tiny roast potatoes and had to ask for more only to be give one more tiny potatoe and gravy was given same treatment. Same with veg felt like I was back in school be served by a starver. The chefs who served the meat courses were more than generous so this really let the side down. Overall would highly recommend just watch out for who's serving  on the  vegetables. Very courteous, helpful and attentive staff who were only to eager to please. My guests thoroughly enjoyed their meal. Sunday Buffet never disappoints. Always excellent range of foods to suit all tastes. Absolutely fabulous. From the excellent  service provided by Anthony and Monica to the mouth watering food this restaurant is top class! It's definitely worth a visit. We will be back to try some more of the menu very soon! I thought this was even better than other buffet events we have been to at the Stormont. The food was great, the gift was lovely and our little one ate and sat long enough for Mummy and I to enjoy it all. Ensuring Daddy's Brownie points are well stored up for at least a couple of months! Absolutely loved our carvery meal yesterday. We had 4 adults, kids and a baby - we really enjoyed the afternoon. Food was first class, as were your staff and the atmosphere - so relaxing. Will definitely be back, was great choice, quality and service! My husband and I had afternoon tea at the Stormont Hotel and I was very impressed with the service, staff and quality of food. Nothing was too much trouble and the staff looked after us well, the food was amazing and we couldn't finish it but the hotel kindly provided us with a lovely branded box to take home the left overs. Will definitely be visiting again. The food is ordinary and my scampi was heavy and over cooked. My guest has Thai green curry which was very bland. My husband had eaten there the night before and the chef could not do a blue steak. Disappointing. Excellent meal and great value for money. Next time I will make sure my girlfriend orders her own jam jar sponge so she does n't have to share mine as it was so good. Only minor niggle was that it took a long time to actually get dessert ordered but the restaurant was very busy but this did not detract from our enjoyment of the meal.